Martin Fröst now continues his survey of the core clarinet repertoire with Brahms' autumnal works for the instrument. 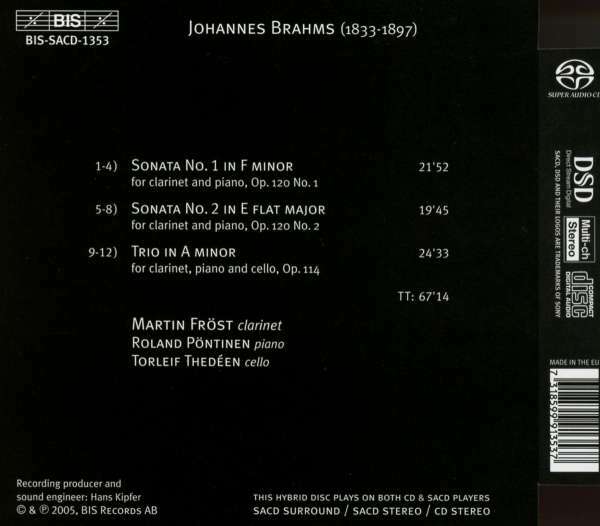 Composed towards the end of Brahms' life, the trio and two sonatas on this disc are the fruits of the meeting between a composer who feared that he had lost his inspiration, and a great musician who helped him find it again. Richard Mühlfeld was the favourite clarinettist of both Richard Wagner and Hans von Bülow, but these works by Brahms are surely the most impressive testimonial to his musicianship. 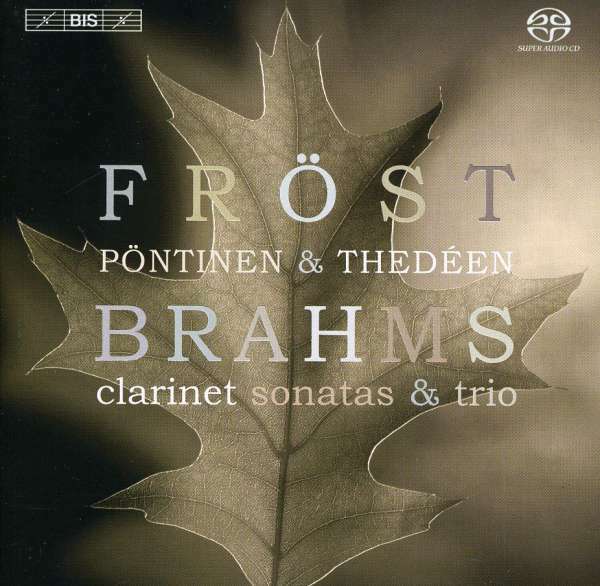 For this recording, Fröst is partnered by his regular collaborator Roland Pöntinen at the piano – a team which was highly praised for their Schumann recording a couple of years ago, BIS-CD-944, of which the reviewer in Répertoire wrote: »An hour of sheer happiness … Seemingly effortlessly the musicians find the same words, the same accents, the same sighs, that common way of thinking which is the mark of all great recordings of chamber music. A luminous Schumann.« Eminent cellist Torleif Thedéen makes up the numbers in the trio, in which the central episode of the third movement, a dialogue between the clarinet and cello, was described by Brahms's friend Eusebius Mandyczewski as sounding »as if the instruments were in love with each other«.